The objective of this study was to investigate the drought-related adaptation strategies of two quinoa (Chenopodium quinoa Willd.) cultivars grown under controlled conditions. After 34 days of growth, water was withheld until plants were severely wilted, then they were re-watered and left to recover. 20 days later the experiment was reproduced. We analyzed growth, biomass, stomatal density, leaf water status, chlorophyll and malonyldialdehyde (MDA) content. Results showed that under water stress growth, biomass, stomatal density and leaf water status were significantly affected. On the other hand, results showed that water stress in the initial period can significantly increase the tolerance to drought during later phases. The data showed that quinoa drought tolerance may result from its capacity to maintain cell health status. Our findings provide new tracks into the mechanisms of drought tolerance in quinoa plants. 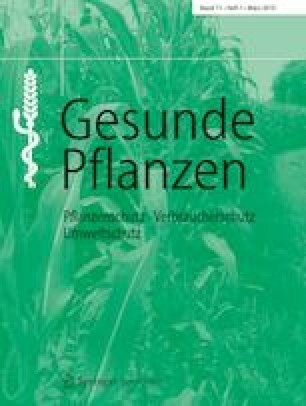 Das Ziel dieser Studie war es, die durch Trockenheit bedingten Anpassungsstrategien zweier Quinoa-Sorten (Chenopodium quinoa Willd.) zu untersuchen, die unter kontrollierten Bedingungen angebaut werden. Nach 34 Wachstumstagen wurde Wasser zurückgehalten, bis die Pflanzen stark verwelkt waren, dann wurden sie wieder bewässert und konnten sich erholen. 20 Tage später wurde das Experiment reproduziert. Wir analysierten Wachstum, Biomasse, Stomatadichte, Blattwasserstatus, Chlorophyll- und Malonyldialdehydgehalt (MDA). Die Ergebnisse zeigten, dass unter Wasserstress das Wachstum, die Biomasse, die Stomatadichte und der Blattwasserstatus signifikant beeinflusst wurden. Auf der anderen Seite zeigten die Ergebnisse, dass Wasserstress in der Anfangsphase die Toleranz gegenüber Trockenheit in späteren Phasen signifikant erhöhen kann. Die Daten zeigten zudem, dass die Trockentoleranz von Quinoa aus der Fähigkeit resultieren kann, den Gesundheitszustand der Zellen zu erhalten. Unsere Ergebnisse liefern neue Erkenntnisse über die Mechanismen der Trockentoleranz in Quinoa-Pflanzen. O. Issa Ali, R. Fghire, F. Anaya, O. Benlhabib and S. Wahbi declare that they have no competing interests.